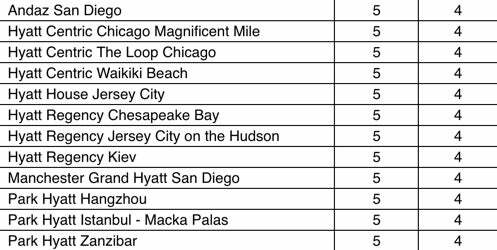 This Monday March 18th at 11:01 PM Central Time Hyatt will be shifting the reward category for 259 of their hotels. That’s a big chunk of locations for one of the smaller major hotel chains. So you’ve only got a couple of days to take a look and see if it’s better to book your travel now or to wait until Monday. 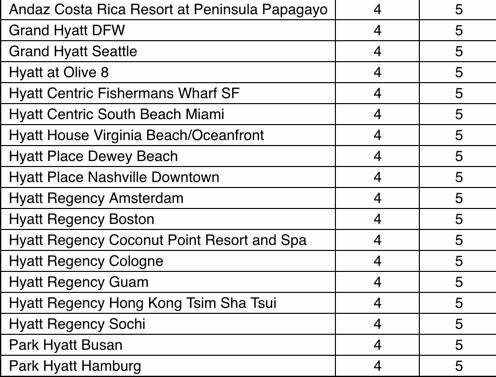 This is particularly important if you were planning to use a Category 1-4 free night credit card reward certificate you earned with the The World Of Hyatt Credit Card because there are 30 hotels either moving into Category 4 or out of it. While you’re here, subscribe to our newsletter so you don’t miss out on any important miles and points news. The changes to award categories are close to evenly split between hotels going up and hotels going down in price. So take a look at the full list of category changes here to see which specific hotels you’ll want to book before the changes and which ones you’ll want to wait on. I’ve been to the Hyatt Regency Hong Kong Tsim Sha Tsui and it has one of the nicest club lounges I’ve been to. That one and the Andaz Costa Rica Resort at Penninsula Papagayo are disappointing losses for the Category 1-4 free night certificates. I’m shocked to see a hotel in Hawaii fall into Category 4. Typically during peak-season Hawaii is one of the hardest destinations to book free hotel award nights at. What do you think of the changes? Anything you’re heart broken or happy to see changing in price? To get more miles & points news delivered to you daily, subscribe to our newsletter.